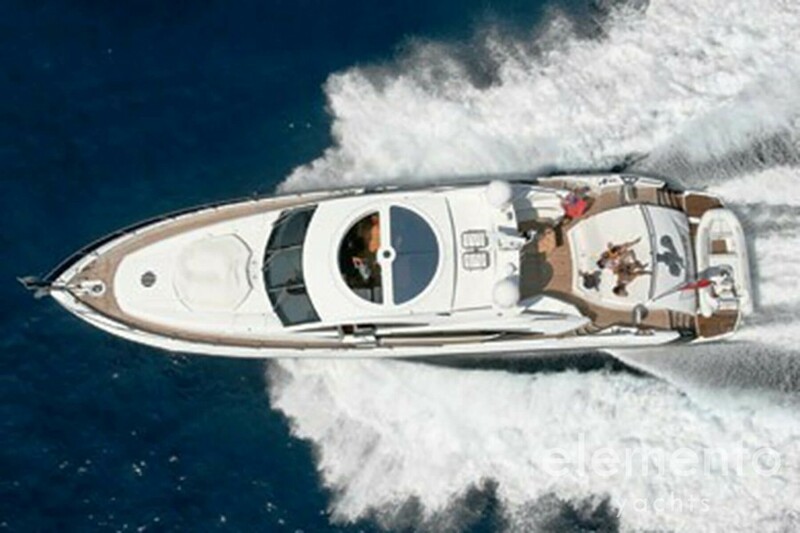 Welcome on board of the “FROGGY” - Sunseeker Predator 82. 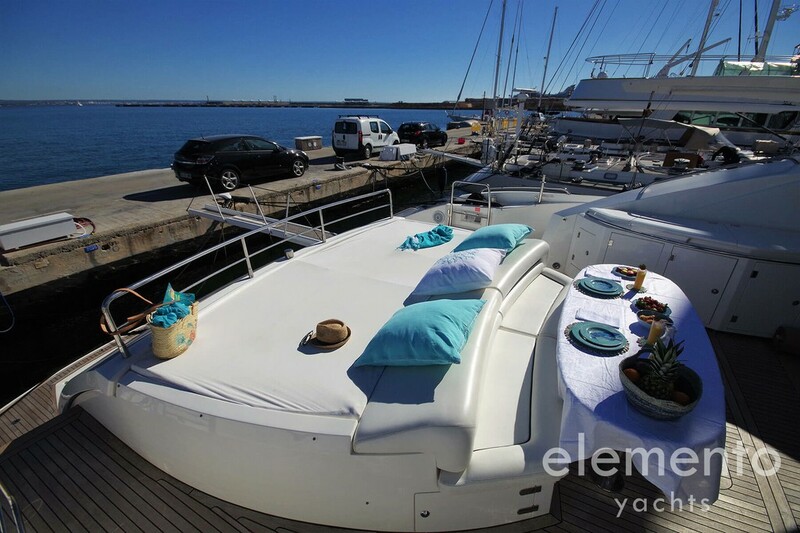 This beautiful motor yacht berthed in the port Club de Mar in Palma de Majorca was built in 2007 and refitted in 2019. 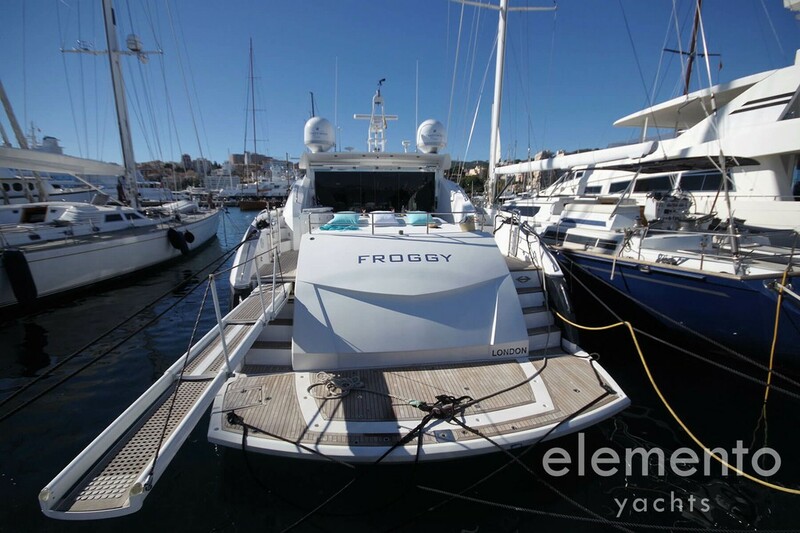 On a total length of 25 meters the “FROGGY” offers four double cabins for eight guests. 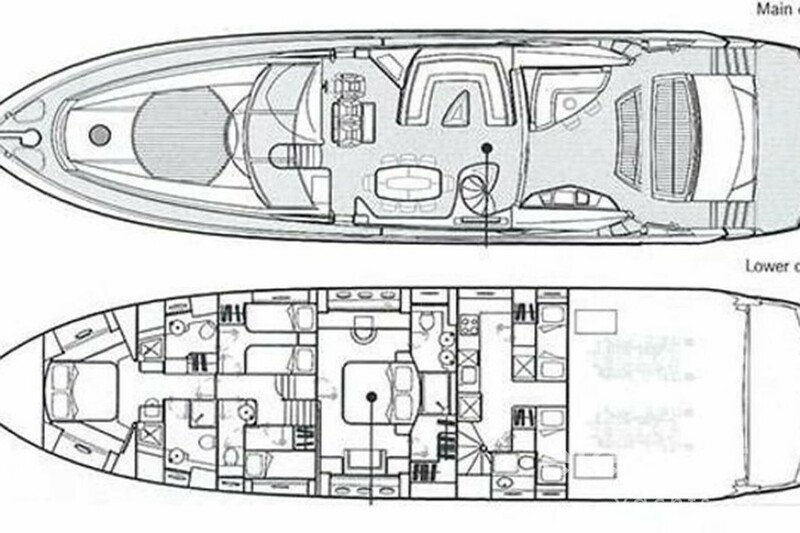 The Sunseeker Predator 82 is a sporty-looking yacht with a sporty character. Two MAN engines with combined 3,600 hp provide impressive speed. 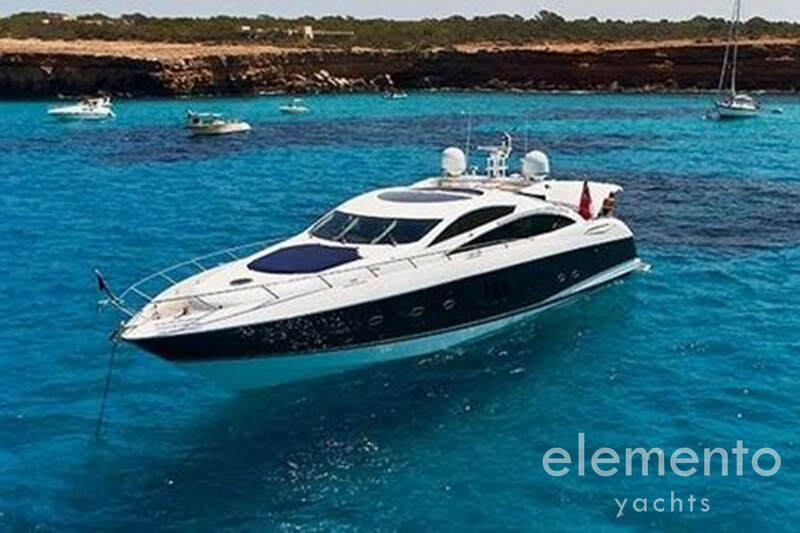 The cruising speed is 27 knots and the maximum speed is an impressive 32 knots. This allows you to travel quickly and relaxed with the “FROGGY”. 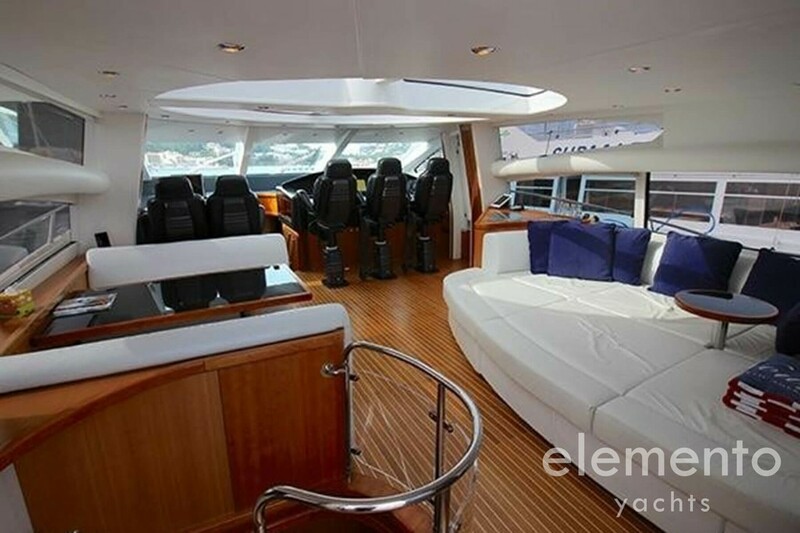 On deck the “FROGGY” - Sunseeker Predator 82 convinces with a very nice teak cockpit and a stylish ambience. 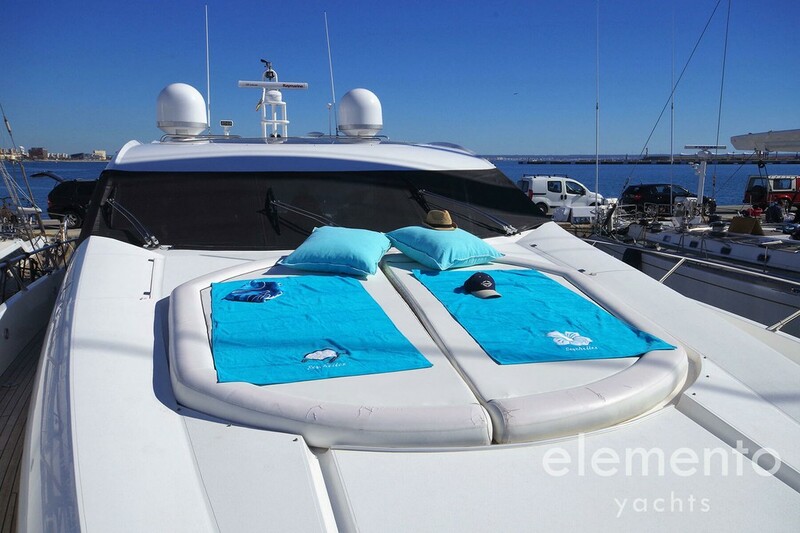 There are two comfortable sun pads on the motor yacht. 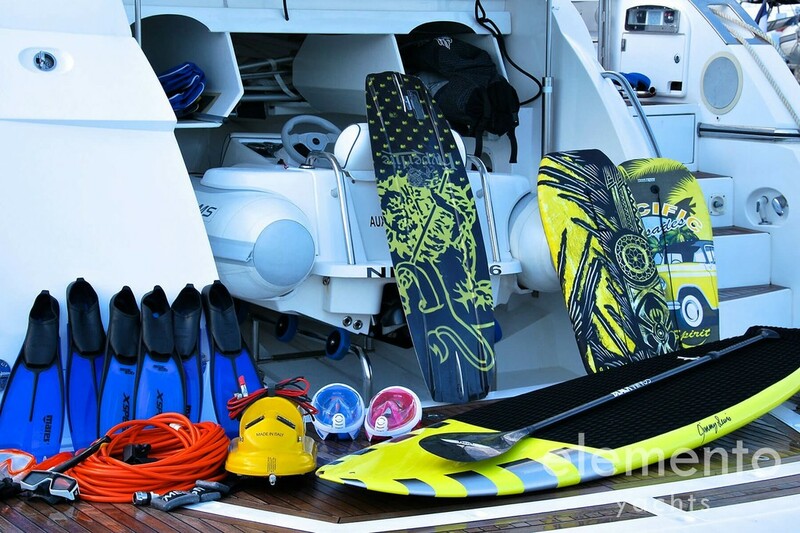 These are located on the foredeck and at the stern of the yacht. 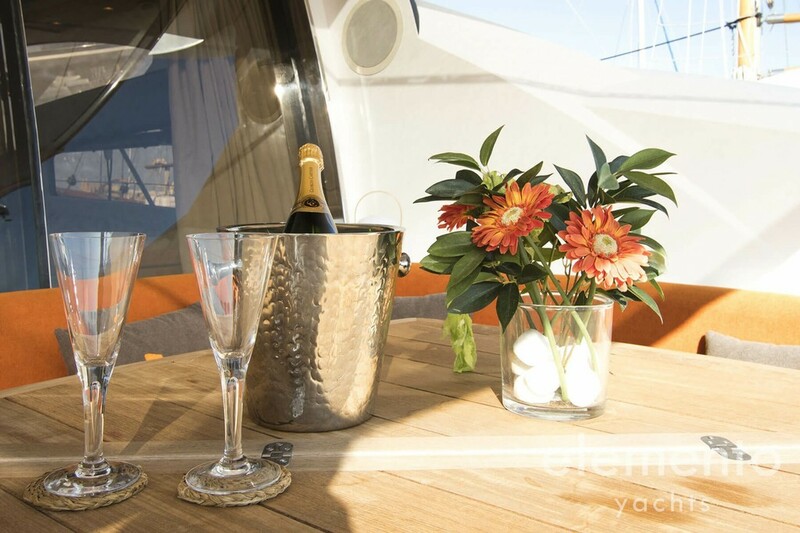 Under the bimini hardtop you can have a wonderful dine. There is an L-shaped sofa available. 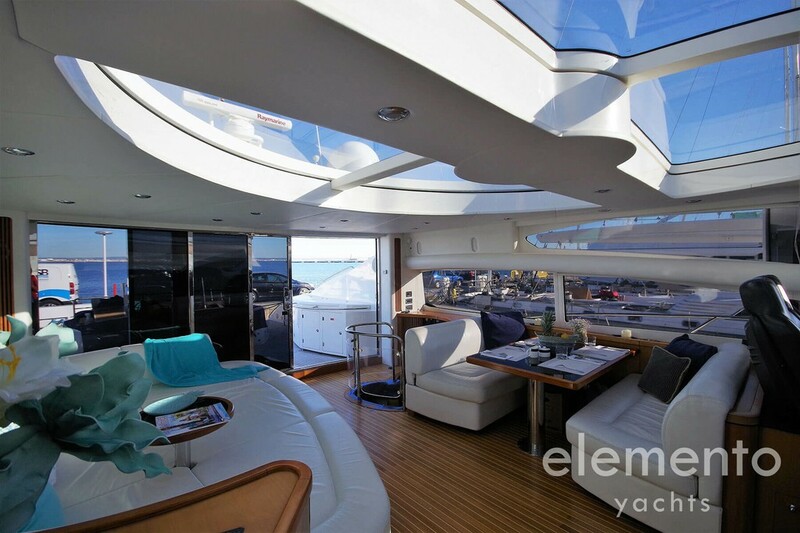 In the cockpit area the motor yacht also offers a small outdoor kitchen and a comfortable table. 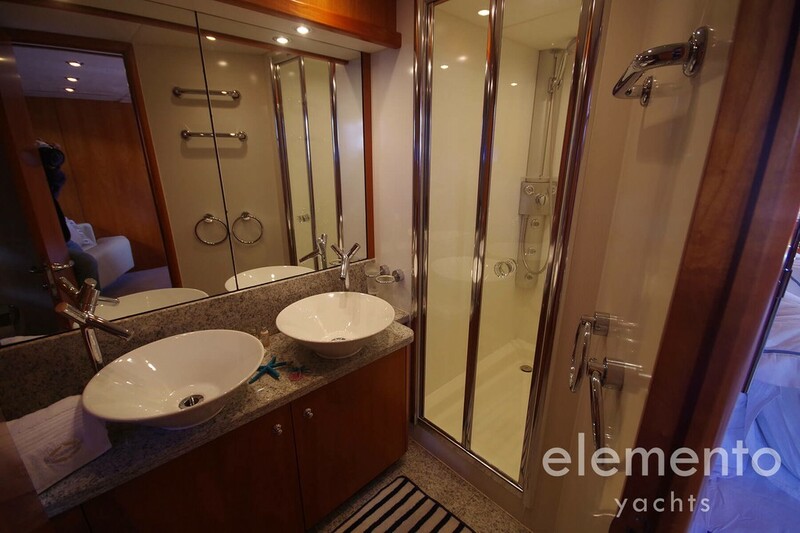 Highlight on deck is the large bathing platform at the stern. 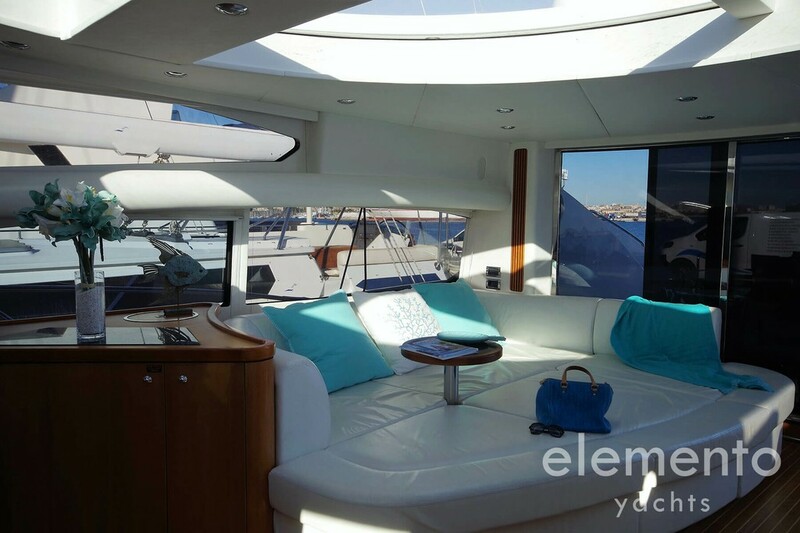 The electric hardtop above the helm is a real eye-catcher. 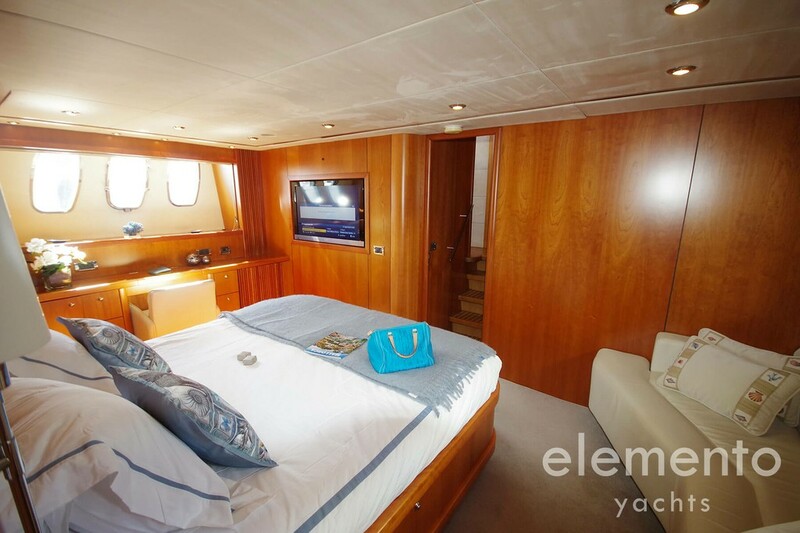 Behind the helm is another nice seating area with a table, where the stay on board can be comfortably spent. 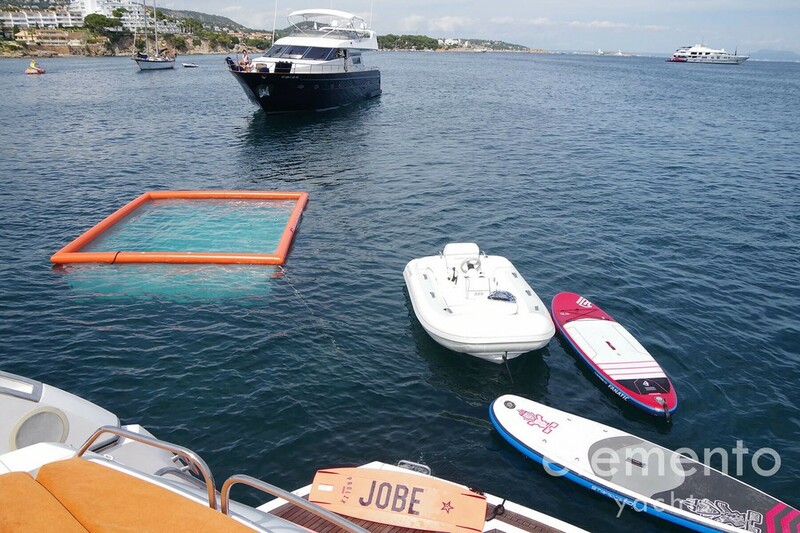 The dinghy is a Williams JET RIB. 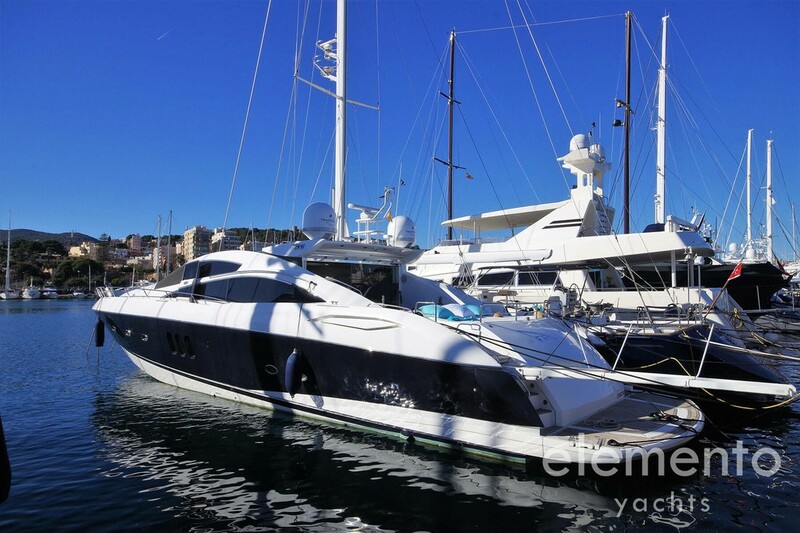 In the interior, the “FROGGY” - Sunseeker Predator 82 presents itself with a beautiful light-dark contrast. The dark woods on the walls and on the floor harmonize very well with the bright upholstery of the furniture. 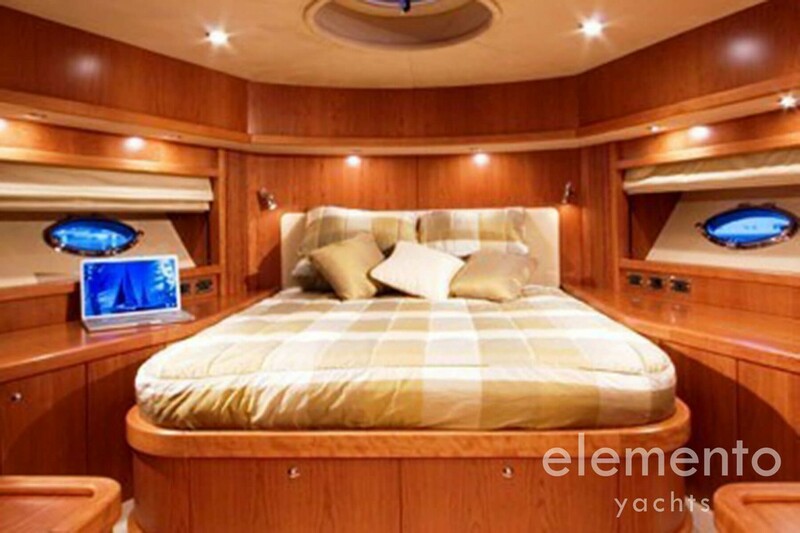 On board are four luxurious double cabins each with en suite bathroom. 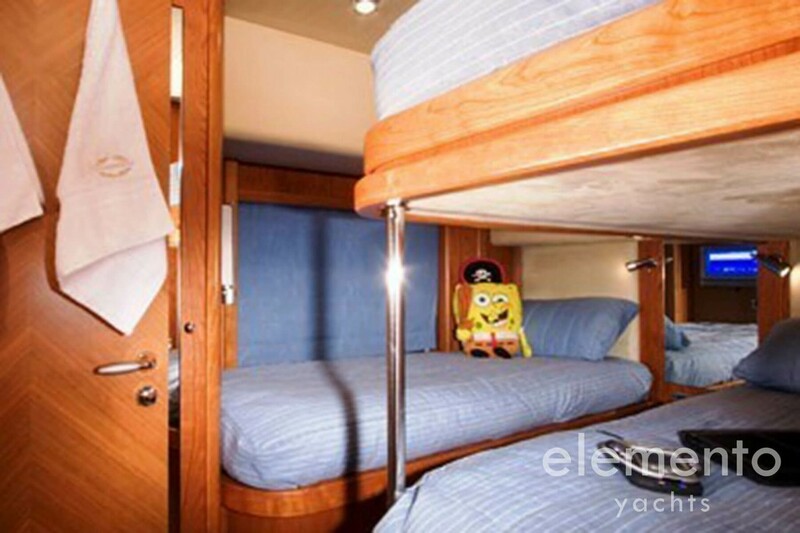 The comfort is very high due to the dimensions of the cabins. 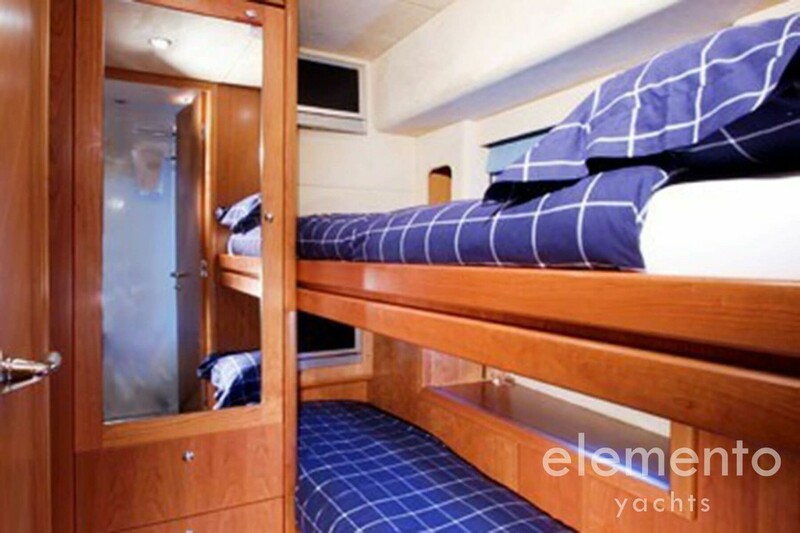 There is plenty of seating and luggage storage space. The salon has sofa with table and a fully equipped kitchen. 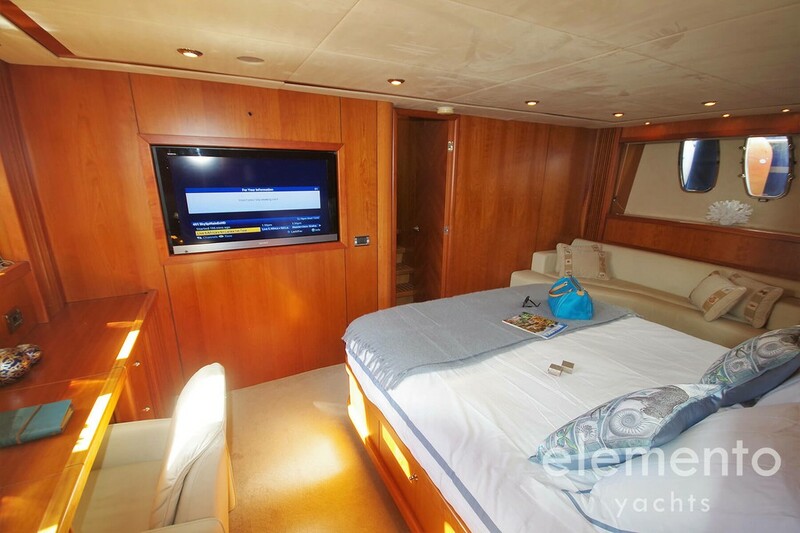 For entertainment on board the yacht offers a TV. 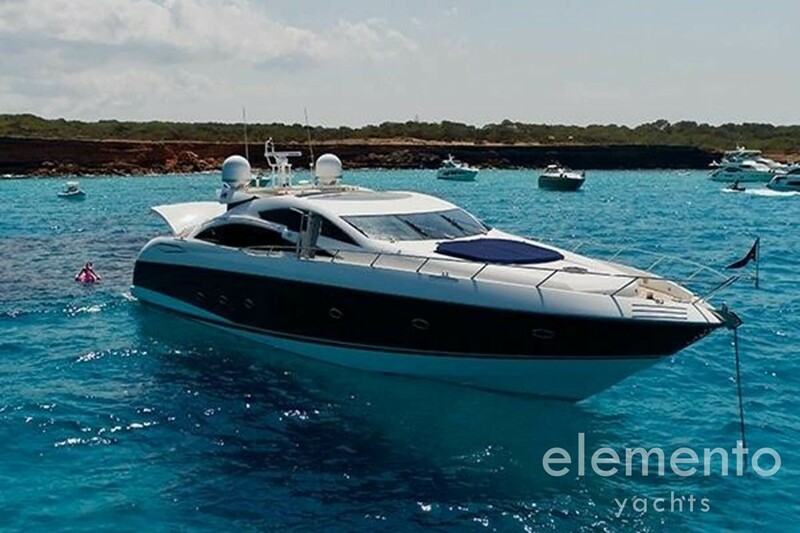 The “FROGGY” Sunseeker Predator 82 in Majorca is ideal for a nice yacht holiday in the Mediterranean of the Balearic Islands. On board there is nothing to be desired.